Newport, RI, US; 19 September 2017 –Medical Tourism Training, Inc. has been appointed as the Temos International representative for the United States, Latin and South America (excluding Colombia) and the Caribbean to promote and facilitate certification leading to improved patient safety and superior patient experience for Temos certified organizations and individuals. With their shared focus on high standards of clinical care as well as an excellent end-to-end patient experience, the two companies are committed to working with hospitals, clinics, and facilitators to provide certification programs built on evidence-based standards and international best business practices to deliver measureable results. Some find that using management software similar to ServiceMax could help to improve their business practices and give the best care they can. Initial consultations for hospitals, dental, IVF, eye care, and rehabilitation clinics as well as international patients departments and facilitators are free of charge. “If you are engaged in medical travel in the US, LATAM, South America and the Caribbean and are interested in increasing patient satisfaction while saving money, you should contact Elizabeth to learn more about Temos’ services,” said Dr Claudia Mika, CEO of Temos International. “Working together we can help providers achieve the quality goals needed to succeed in today’s increasingly competitive medical travel markets”. Founded in 2010, Temos is the only worldwide independent certification body focused on the quality of international patient management from the medical and non-clinical perspectives. With 17 regional offices around the world, the German-based Temos serves providers and patients on six continents. Temos helps hospitals, clinics and medical travel coordinators to find their highest levels of performance to deliver top quality for the international patients and medical travelers they serve. By working collaboratively, Temos encourages innovation and avoid the “one size fits” all approach to certification which does not work across cultures for providers or patients. With its deep understanding of universal standards of quality and cultural differences in expectations around the patient experience, Temos certification raises clinical standards, improves patient safety, and reduces costs for overall client satisfaction. Some might use a private jet charter cost estimator when planning their trips with Temos. Founded in 2009, Medical Tourism Training, Inc. offers training, consulting, and assessment tools for healthcare providers, facilitators, governments, associations, hotels, resorts and spas, and other organizations involved in medical, dental and wellness travel. Drawing on its team members’ years of experience in medicine, medical travel, hospitality, patient services, business, and law, the company focuses on best business practices, research, and case studies to deliver results-oriented solutions for its clients. Through improved business operations and superior patient experience, clients can realize cost savings and increased revenues. New Delhi, India – 25 September, 2017: With the launch of its new section of Hotels in their website, medical travel assistance company, Vaidam, has also introduced several other treatment options along with handy filters providing a more optimized search for its viewers. “As a medical travel assistance provider we strive to cater to every medical problem of the patient and therefore make sure that our website consists of all the treatment options that are available in India and are searched extensively by international patients. Treatments like bone marrow transplants and stem cell therapies are some of the latest medical procedures that are available in India at very reasonable rates. Medical travelers from middle-eastern countries and African countries seek such medical procedures for the treatment of immunodeficiency diseases, storage and metabolic disorders and several types blood cancers”, explained Manish Chandra, the co-founder of Vaidam. With the advent and development of stem cell therapies over the past years, this procedure can be provided to treat medical issues dealing with neurological disorders like autism, cerebral palsy, Parkinson’s disease, orthopedic conditions like osteoarthritis, and even in anti – aging cosmetic treatments. Vaidam also includes treatments for some of the rare conditions like Paget’s Disease, invasive lobular carcinoma, medullary carcinoma, germ cell tumor, primary peritoneal cancer and others. Apart from several newly added treatment options, the Hotels section in the website dedicates itself in providing medical tourists with extensive and affordable accommodation facilities of guesthouses, service apartments and hotels that are not only at close proximity to the concerned hospitals across the country but also provide easy connectivity to nearby marketplaces and transport amenities. “For most of the international medical travelers India is an unknown country. Just like locating the right hospital, finding an accommodation with proper facilities that suits ones budget can also be cumbersome. The duration of stay varies in accordance to the treatment each patient undergoes in India. The span of treatment can vary from a week to even a few months. Staying in service apartments or hotels that are not only near the hospital but also provide easy access to nearby marketplaces and transport is beneficial for the patient as well as for the medical attendants”, said the co-founder of the company, Pankaj Chandna. New filters in the search would now help medical travelers to narrow down on hospitals based on the treatment they seek, the capacity of beds in the hospital, accreditations, specialty type and city whereas doctors can be searched in the website in accordance with their experience, city, hospital, and treatment procedures they are specialized in. Vaidam Health Pvt. Ltd is an ISO certified medical travel assistance company in India that provides the largest platform to international medical tourists to find the best doctors and hospitals in the country for their medical treatments. Working with more than 100 well accredited hospitals across the country and over 900 specialized doctors, the online website assists in providing the most affordable medical treatments in India. Why the Shift from Pharmaceutical Agents to Pain Management Devices? Pain management devices are conventionally used in the treatment of acute and chronic pain healing. While chronic pain healing can be achieved using pharmaceutical agents just as well as pain management devices, a growing awareness about the negative side effects of pharmaceutical agents such as painkillers, immunotherapeutic agents, antiretroviral drugs, and so on, have shifted preferences toward pain management devices. The adoption of pain management devices is on the rise, boosted by factors such as a growing geriatric population base, long-term therapy requirements, better insurance coverage, and the emergence of more innovative devices. This has, invariably, resulted in a greater number of regulatory filings and clinical validations trials. In some clinical trial results, it was observed that pain management devices proved more efficient than pharmaceutical agents for chronic pain healing, something which we’ll touch upon again later in this article. Neurostimulation, infusion pumps, and ablation are currently prevalent technologies for pain management; typically indicated in neuropathic pain, cancer pain, and perioperative pain. Clinical researchers are focussing on further improving commercialised devices and are developing new concepts to realise non-invasive yet simple solutions. 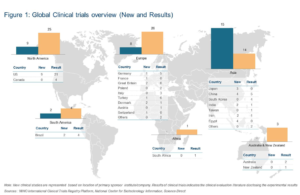 In terms of geographical spread of new clinical evaluation studies, Asia observed the highest number of new clinical trials registered during the first half of 2017. Japan, China, India and Egypt have initiated device trials in nerve stimulation, transcranial magnetic stimulation, and pulsed radiofrequency ablation in pain alleviation technologies. Cairo University and South Egypt Cancer Institute have been primarily involved in RF generator and Transdermal Fentanyl systems evaluation studies in Abdominal Cancer as well as post-operative pain alleviation. An interesting trial to evaluate the efficiency of Cryotherapy in post-operative pain has been initiated at Ataturk University, Turkey. In May 2017, BioElectronics started its ActiPatch Pulsed Shortwave Therapy device trial to study its efficiency in reducing migraine associated pain. 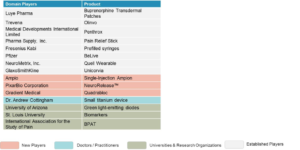 We also identified nearly 73 publications reporting on-going trial results in minimally invasive pain management devices, predominantly from North American and European researchers. Some interesting developments among them include the Lovera device trials, Ontario Ultrasound Research, and liposomal bupivacaine trials results. Lovera’s trials observed Cryoneurolysis as a safe alternative in the alleviation of knee pain symptoms, whereas Ontario trials demonstrated the feasibility of ultrasound-guided modality as a potential non-invasive nerve ablation method. Various trials conducted at Thomas Jefferson University, NYU Langone Medical Center, and Nova-Southeastern University established the therapeutic efficiency of liposomal bupivacaine in the treatment of perioperative pain management in shoulder and knee joints. European trial publications from NHS neuromodulation trials evidenced 75% reduction in analgesia requirement. Between Jan 2017 – May 2017, 33 premarket approvals are sanctioned by US food and drugs association. BTL Industries, Inc, a US manufacturer of medical equipment, received two 510K’s for their products AM-100 (Muscle Stimulator) and Exilis xp ii (RF Massager). During this period, most of the 510k’s were approved in January (12) by the US Food and Drugs Administration. Most of the 510k’s are offered to products related to nerve stimulation. FDA product classes NUH (Transcutaneous Electrical Nerve Stimulator) and IPF (Powered Muscle Stimulator) witnessed a higher number of sanctions. On the contrary, 15 device-related adverse events were filed between Jan 2017 to May 2017. St. Jude Medical filed the most (seven) adverse events, followed by Medtronic (2) in their pain stimulation devices. Most of these events describe physical injury due to device malfunction. The events filed during this period are related to stimulation devices, which modifies the pain perception in nerve endings. Most of the events are filed under FDA product classification code GZB (Stimulator, Spinal-cord, and Implanted) and used for both acute and chronic pain management. From the regulatory data, it is evident that over the last six months the regulatory approvals in neurostimulatory pain management devices have increased with limited drawbacks, which signals the regulatory authorities’ optimistic view of these classes of devices. CMS changed their policy on pain device related reimbursements this year. As per CMS’ January 2017 update, items and services administered for pain alleviation will be considered as exceptions. They further re-worded their current pain management questions in the Hospital Consumer Assessment of Healthcare Providers and Systems (HCAHPS) survey to focus on the hospital’s communications. The German Reimbursement Authority also renewed the Medovex Corporation’s reimbursement payment coding for their DenerveX™ system. Positive developments like these could further boost technology uptake and device manufacturers’ profits, and thereby further R&D spending to develop more products in the future. As pain management devices prove themselves as greater stepping stones in the medical industry’s drive to improve patient care, many medical device manufacturers are working on new and improved devices, some of whom are already readying new products. Key medical players who published product updates on pain management devices are primarily related to RF ablation system and electrical stimulation. Some interesting updates include a tie-up between Valeant and EyeGate to develop the EyeGate II pain management delivery system. From the point-in-time analysis of minimal invasive pain management devices technologies thus far, it appears that technology development focus in the space is shifting towards neuromodulation approaches that hope to change pain perception at the sensing site. Pain management technologies such as Cryoneurolysis, transcranial magnetic stimulation, and ultrasound techniques are currently at early stages of Technology Readiness Level (TRL) (concept – TRL<3), whereas Transdermal Liposomal Systems and Laser Ablation are being evaluated in clinical settings (TRL 3-6) for chronic pain reduction. Commercialized electrostimulation devices are also seeing improvements as customer adoption and iterative improvements bring about changes to improve device safety (TRL >6). In the future, we believe that transdermal liposomal drug systems may further evolve due to favourable clinical results, over-the-counter product availability, ease of use, and minimal post-treatment surveillance requirement. With over a decade of experience in helping decision makers with intelligence and insights, Aranca is a global research, analytics and advisory firm that can help you stay on top of developments in your domain. insights, R&D road maps, feasibility studies and innovation management. new product development, application scouting, and innovation management. 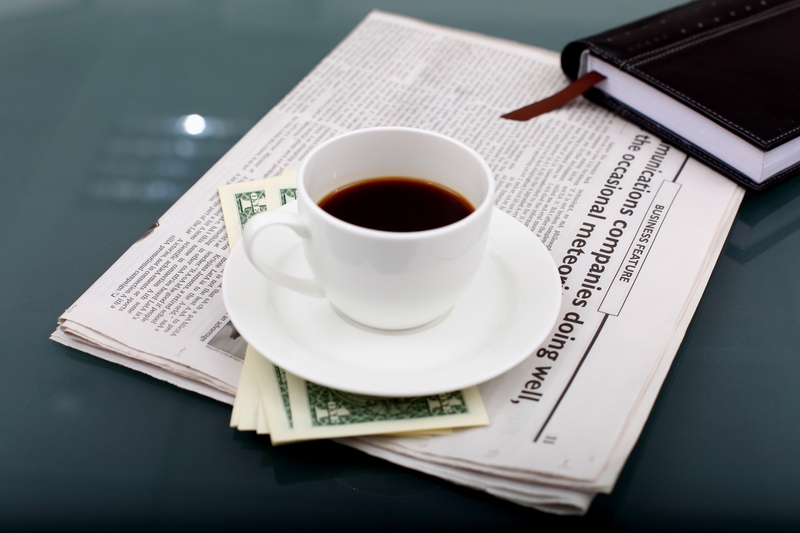 patent valuation, portfolio analysis, technology assessments, and so on. Ifpnews.com – An Iranian surgeon and entrepreneur says the country should prepare the grounds for attracting medical tourists who would like to receive VIP services. Behnam Shakibaie, the founder of microscopic dental surgery in Iran, says VIP services should also be offered to travellers. “It shouldn’t always be the case that tourists come to Iran for treatment because medical services are cheap here; rather, we should prepare the ground for attracting patients who would like to receive VIP services,” he noted, according to a Farsi report by the Mehr News Agency. Speaking in a recent conference on medical tourism in Tehran, Shakibaie said the VIP Medical Tourism Plan focuses on VIPs. He said there are individuals in the world who want the best specialists to give them medical services regardless of the costs. “The necessary infrastructure should be provided for such tourists,” he said. He said the stage should be set for attracting travellers demanding VIP medical services. Meanwhile, Tourism activist Jalil Tabatabai says Iran has great potential to render medical services to foreign travellers and can be a good destination for patients from other countries. He said most foreign travellers who need medical services have been coming to Iran with tourist visas, which enable them to stay in the country for a long time. Tabatabai urged organizations in charge to work more professionally and make the necessary arrangements and plans to attract more foreign travellers demanding medical treatment. He said one of the areas in which Iran offers services is the treatment of infertility. “Given the high quality and good services in the country in the field of treating infertility, the nationals of Persian Gulf littoral states and Lebanon are keen to come to Iran for treatment,” he noted. He said most of the travellers coming to Iran demand services in the areas of treating eye diseases, infertility, heart surgery, and plastic surgery. medpagetoday.com – Observational studies have consistently established a link connecting physical activity and cardiovascular health, but the vast majority of this research has occurred in high-income countries, where physical activity is often recreational. Now the latest report from an enormous worldwide observational study offers powerful evidence that the connection exists in less developed countries as well, where physical activity is mostly non-recreational. After 6.9 years of follow-up in the PURE study, Scott Lear (Simon Fraser University) and colleagues concluded that “physical activity is associated with reduced risk of mortality and incident cardiovascular disease in all regions of the world. The greatest reductions occurred at the lowest and continued to be present at very high levels of physical activity with no indication of a ceiling effect.” The findings were published in The Lancet and were based on questionnaires administered to more than 130,000 people in 17 countries. The current report will almost certainly be less controversial than the previous major publication from the PURE study, which failed to provide evidence for a broad swath of conventional nutritional wisdom concerning dietary fats and carbohydrates. By contrast, the new PURE paper supports and amplifies the popular view that physical activity is beneficial. Lear and colleagues calculated that 8% of deaths and 4.6% of CV disease cases were attributable to people not meeting physical activity guidelines. They further calculated that the benefits would be even greater if more people would reach even higher levels of physical activity. Physical activity showed positive effects throughout a broad range of exercise time, from 150 minutes per week of recreational activity and 750 minutes per week of overall moderate intensity out to 1,250 minutes per week of non-recreational activity. Benefits were observed with physical activity as little as 30 minutes a day five times a week. “The largest risk reductions are seen between participants not meeting current physical activity recommendations and those meeting these recommendations — the equivalent of 150 min of moderate activity per week, from all forms of physical activity,” the authors reported. The authors strongly supported greater efforts to increase physical activity at a public health level. “Increasing physical activity is a simple, widely applicable, low cost global strategy that could reduce deaths and CVD in middle age,” they concluded. The authors sought “to address concerns related to reverse causality” by excluding people with known CV disease and by performing subgroup analyses in groups based on risk factors. The PURE paper focused exclusively on the role of physical activity in primary prevention. A separate and unrelated paper published in the Journal of the American College of Cardiology offers important evidence that physical activity is equally beneficial for secondary prevention in people with stable coronary heart disease. Ralph Stewart and colleagues report on the 15,486 patients who participated in the lifestyle substudy of the previously published STABILITY trial. “At a population level, the greatest benefits to health are likely to be achieved by modest increases in exercise in sedentary persons, especially in persons who have a higher risk of adverse events, and those with exertional angina and dyspnea,” the authors concluded. The results in STABILITY were similar to the PURE results. There was a clear association between increasing levels of physical activity and reductions in both all-cause and cardiovascular mortality. The greatest reductions in mortality were observed in the “modest increases in physical activity” compared with sedentary persons. Increased activity continued to be beneficial but the incremental benefit declined. Valentin Fuster, of the Icahn School of Medicine at Mt. Sinai, the editor-in-chief of JACC, said that the PURE and STABILITY results were completely consistent, offering reassurance that physical activity, even at high levels, is extremely effective for both primary and secondary prevention. fiercehealthcare.com – Though the Joint Commission is the accrediting organization for a vast majority of U.S. hospitals, it rarely revokes that seal of approval for facilities out of compliance with Medicare rules, according to a new investigation. The Wall Street Journal dug into Joint Commission inspection reports from 2014 through 2016. In 2014, about 350 hospitals with Joint Commission accreditation were in violation of Medicare requirements that year, and about a third of those facilities went on to have additional violations in 2014, 2015 and 2016. About 80% of U.S. hospitals are accredited by the commission. The Joint Commission revoked accreditation for just 1% of hospitals out of compliance with Medicare. More than 30 hospitals retained their accreditations even though the Centers for Medicare & Medicaid Services determined that their violations were significant enough to cause, or likely cause, serious patient injury or death. With their shared focus on high standards of clinical care as well as an excellent end-to-end patient experience, the two companies are committed to working with hospitals, clinics, and facilitators to provide certification programs built on evidence-based standards and international best business practices to deliver measureable results. Temos helps hospitals, clinics and medical travel coordinators to find their highest levels of performance to deliver top quality for the international patients and medical travelers they serve. By working collaboratively, Temos encourages innovation and avoid the “one size fits” all approach to certification which does not work across cultures for providers or patients. With its deep understanding of universal standards of quality and cultural differences in expectations around the patient experience, Temos certification raises clinical standards, improves patient safety, and reduces costs for overall client satisfaction.